Made of Nappa leather with full zip at the front, dual quilted collars with half sleeves. 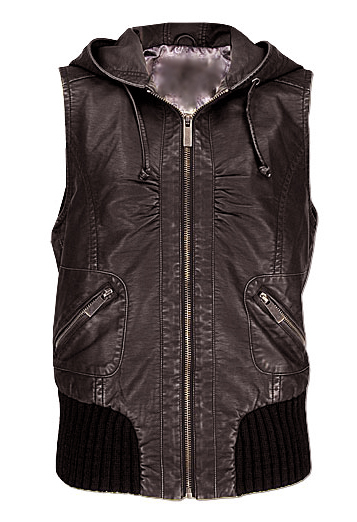 Two hand cuff pockets with zippers and polyester lining, pure black woolen knitted layers at the bottom of the vest for a stylish finish. 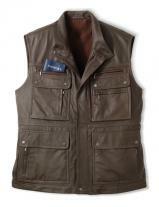 Silver colored lining on inside of the vest and sheen touch at the out. 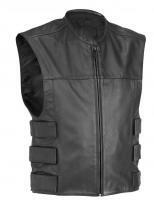 Bind stitched on the front chest for stylish look nylon coated, heavy duty for Long life. Ample length with correct fit and figure. 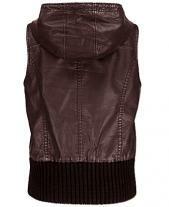 This vest has a cool touch with light black colored leather, makes others to to say "nice vest"